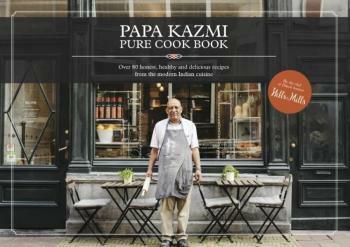 Over 80 honest, healthy and delicious recipes from the modern Indian cuisine When Papa Kazmi opened his restaurant together with his kids back in 2012, he never dreamed of international fame. By now, his hotspot Hills & Mills appears in the media almost every week, a journalist traveled the world to interview him for a large international newspaper, and he cooks on live television. It was high time for a cook book, his kids thought. Supported by hundreds of fans, they started their most personal project ever. With the cook book, they aim to bring a little bit of Papas magic into peoples homes. Guided by their most precious memories, they will take you on a trip to show you Papas honest, healthy and delicious recipes. Added benefit: all recipes are 100% free from sugars and E-numbers. Most recipes are suitable for people who follow a vegan, gluten-free or dairy-free diet. The result is a modern, clean designed book full of personal stories, beautiful images and refined, hand drawn illustrations.